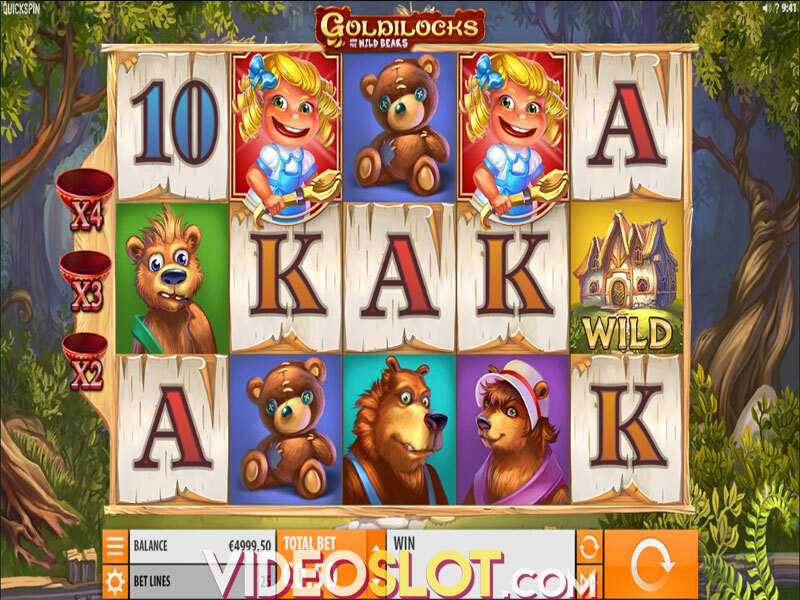 Goldilocks and the Wild Bears video slot tempts you to creep into the bears' little cabin and help yourself to some porridge, but also be a little naughty and grab their cash loot on your way out. The 5-reel, 25-payline video slot draws inspiration from the old children's fairy tale – Goldilocks and the Three Bears and offers a number of features you can benefit from including regular Wilds, Multiplier Wilds and the Free Spins feature enhanced with the Bears Turn Wild feature. The graphics are magnificently illustrated and pleasing to the eye, so players will have an opportunity to take an idyllic stroll down memory lane and get in touch with their inner child. 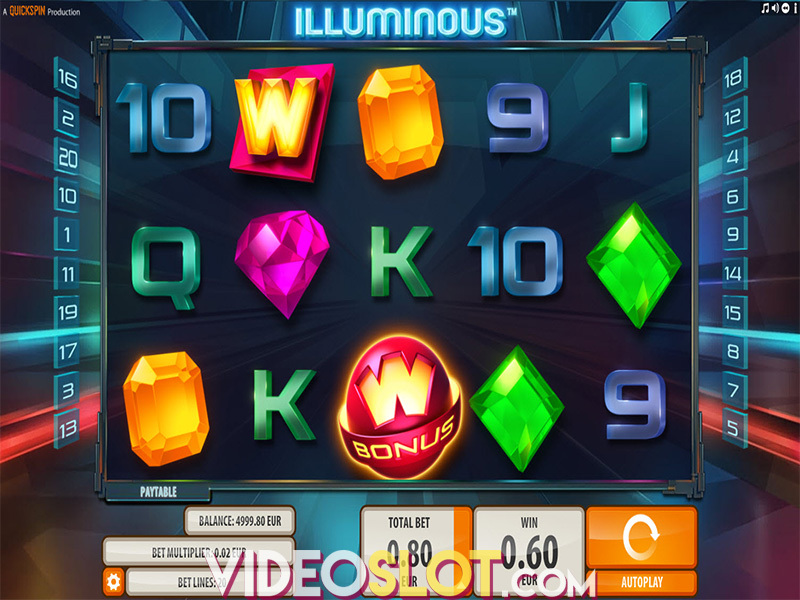 Before you immerse yourself in the fantasy realm, we would advise you to refer to the paytable first and try out the slot taking advantage of the free version, just to get an idea of the game's mechanics and bonus features. The minimum you can bet playing Goldilocks and the Wild Bears is $0.25 per spin while the highest stake can go up to a ceiling of $250, which will certainly satisfy high-rolling punters. Players will also appreciate the fact that the Quickspin 2017 release has two Wilds. The regular Wild represented by the game's logo can substitute for all other symbols, except for Scatters. These Wild symbols are also the most lucrative icons on the reel set, awarding the top-prize of 1,000 coins for five of them on a single line. Multiplier Wilds are much more interesting, though, as each time a single Wild contributes to a winning combo, your win will be doubled. In addition, should you land two or three bowl of porridge Wilds in a winning combination, your win will be tripled and quadrupled, respectively. As you will notice, Goldilocks icons are a very welcome sight in this game, since they assume the role of Scatters and hitting three of them anywhere in view will trigger the Free Spins feature, awarding initially 10 free games. Keep an eye on the Goldilocks Progress Scatters, depicted by Goldilocks sticking out her tongue, as landing three of these will kick off the Bears Turn Wild feature, transforming Daddy Bears into Wilds for the duration of the Free Spins feature. 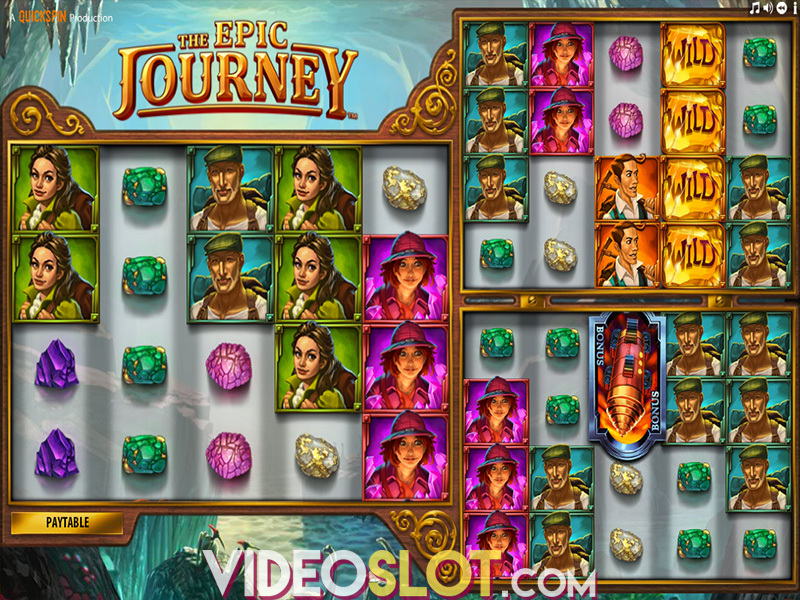 Moreover, if you manage to land five Scatters, you will make Mommy Bear go Wild and win additional two free spins. The same applies to Baby Bear that will award two free spins besides turning into Wild for the remaining spins. Overall, Goldilocks and the Wild Bears slot is a low to medium volatility offering, with an average return to player (RTP) of 97.09%, which practically means that you can expect a fairly regular stream of moderate wins. 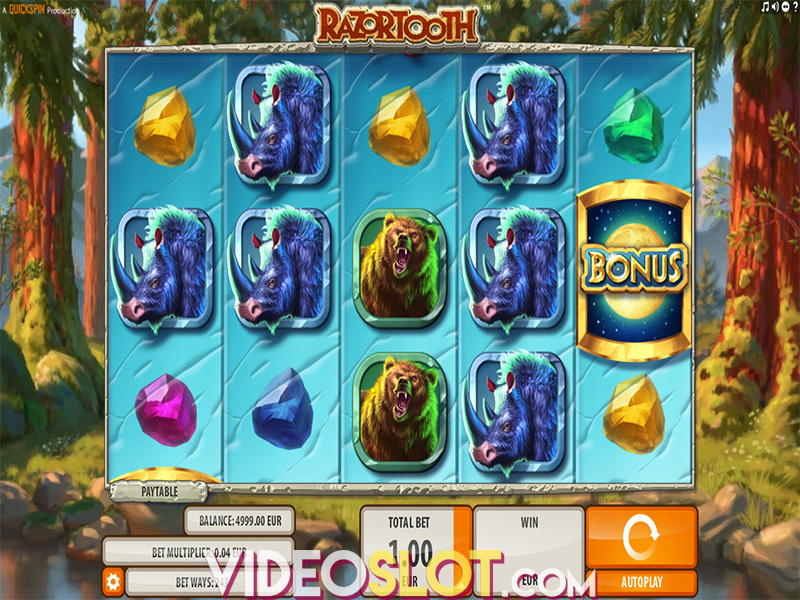 The two different Wild symbols and free spins enhanced with the Bears Turn Wild feature can significantly boost your winning potential while keeping the pace flowing at a well-balanced rate. Where to Play Goldilocks and the Wild Bears?